This richly restorative balm nourishes, hydrates, and protects the delicate skin around your eyes. 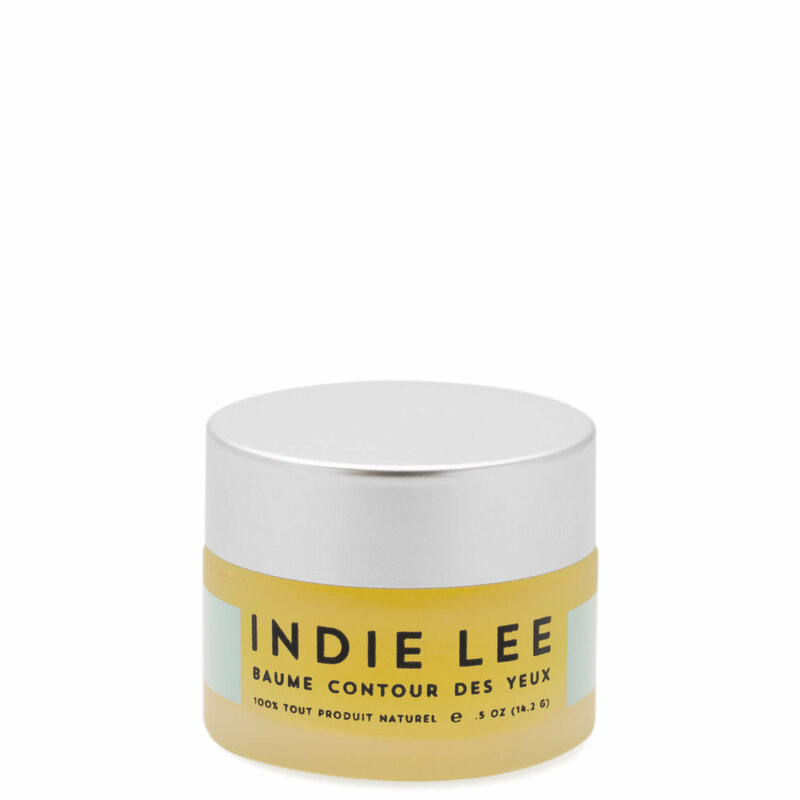 Indie Lee Calendula Eye Balm comes enriched with naturally derived ingredients like avocado oil, calendula, and squalane to help moisturize dry skin and soften the look of fine lines. Warm a grain-sized amount between your fingers. Lightly pat around the orbital bone and gently massage until absorbed. May also be used on lips, cuticles, and dry patches. For best results, use twice daily. Not recommended for milia-prone skin. 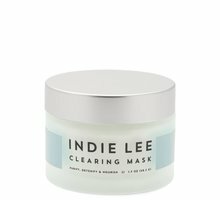 Indie Lee shows us how best to care for the gentle skin around the eyes. Call me a cynic but after trying 89732486329462398426394872398471894 eye creams, I pretty much knew this one would end up in the box with the others. 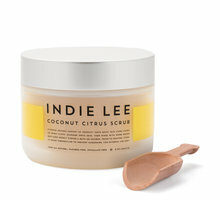 But it was part of Indie Lee's Radiant Skin system so I thought I'd give it a shot. I made sure to try it at night since I still have the haunting memory of walking to school on a windy day when I was about 14 years old (It's totally normal for a 14 year old to be dabbling in their mom's skincare, right?) and I walk into my first period science class only to be teased for looking like a raccoon with mascara and eyeliner smeared all around my eyes. My first take on it was that it was super moisturizing, yet since it is a balm, my dry, thirsty, prematurely aging eye area did not immediately soak up the moisture benefits. I woke up and my eyes looked refreshed and skin glowing. Since I had ZERO (for me this is pretty miraculous) reaction I decided to test it out AM (knowing that since I work in the beauty industry there would be some makeup remover in the office if I arrived looking like a raccoon). My take on it in the morning was even more amazing than the previous night. The glow remained, however for an extra bonus, after putting the balm on again, I noticed a light highlight from it so I patted it further into the temple and blended with my rms beauty Living Luminizer. It was the perfect lift! Loving this product! So, youth horror stories aside, I can officially say I've fallen in love with not only an eye cream but a highlighter as well. Totally unexpectedly impressed! I picked this up back in mid/ late-ish December. I was travelling a lot, through time zones and all-around crappy climate shifts. I was subject to bad mall air and forced heating systems. Planes. Hotel hard water. You name it. And my eye skins were suffering! Beautylish -- the darlings -- got this out to me while I was travelling: FedEx, 2 days, during the holiday season (AND I was on the opposite coast as them). And this little pot of magic literally saved my holiday party confidence. 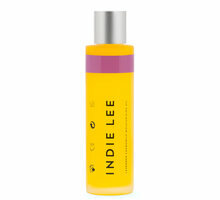 I love you Beautylish and I love you Indie Lee! I haven't stopped using this product, twice a day, since it arrived. A leeeetle bit goes a long way, so it'll last. And I have to tell you, it makes under eye makeup (color correcting, concealing, brightening) a much, much easier task in the winter time. It's lightened my under-eye darkness (though not eliminated it -- thanks, genetics! ), eased my morning puffiness a TON (now a memory), and I swear it's even smoothed out the lines under my eyes (thanks, 30s!). My under eye makeup does not look cakey or dry anymore, and I truly find that I'm using less stuff under there to color correct and brighten. Fabulous! OMG OMG OMG I have one in every room now. I logged in to this site - just so I can write a review on this one product (although I put reviews on my other favs). This product is a must MUST have. I have had sever Psoriasis for years, I've tried EVERYTHING, spent a small fortune on doctors and creams. This balm has made such a difference in my psoriasis. I used to be so self conscious about it. Not any more! I know I'm not the only one it's helped since it was a Readers Rave last year in Rachael Ray Magazine. Wow, this really is a miracle product! I’ve been using this balm for about a week, and I already see a difference in my under eye area. Unfortunately, this is the one area of my face that has really started to show signs of aging. I don’t have crow’s feet, but I have very noticeable lines under my eyes. I’ve tried a lot of eye creams, but recently ran out of my usual brand and decided to give this one a try. My eyes are pretty sensitive, so I have to be careful which products I put near them. This little jar will last a long time, because you only need a tiny amount to cover the entire eye area. The texture reminds me of Josie Maran’s Argan oil lip balm. It’s like solid oil, but feels smooth and hydrating on the skin (similar to argan oil). I am very pleased with the results so far, and will continue to use this and report back after I’ve been using it long enough to see long-term results. So far so good! Previously, I had been using the coconut oil and jojoba oil on my eyes, using the leftovers from my face. But I was developing milia and I was told that it was due to the oils. I stopped using the oils. My eyes got chapped and red and thin and flakey and everything that you don't want in your eye area. I use pretty simple stuff on my face so when I picked this balm I chose it because of the simple ingredients. A little goes a long way. and in just a few days that chapped red skin looks brighter and firmer. I made the right choice. Also- this was my second time ordering from Beautylish, and it's my new favorite. It's an internet shop with a personal boutique feel- the handwritten letter and packaging really goes a long way, can't wait for my next order! This product completely exceeded my expectations. It is a balm that melts with the heat of your fingers. The first day I tried it, I found myself almost digging my finger into the product, expecting it to be like an eye cream. Actually, all you need to do is rub your finger on the balm for a little bit and then apply it on your eye area. A bit of a learning curve there for me. I wore this out in public one day as part of my daily skincare routine (without wearing makeup) and thought I looked so weird. I had to look in the mirror several times and realized that I looked different because the purple discoloration under my eyes was gone. I didn't realize how awake and fresh I looked. It made a huge difference on how my face looked. I apply this on my orbital bone, under my eyes, and under my brow bone. This product looks shiny, but not greasy, on the skin. It's the perfect base for concealer. I have to tell you, I had purchased several eye creams in the past. I can't say I ever saw a huge difference or any at all. I am only 26, but when I wear makeup, I can see fine lines as the product settles into my skin. Not with this eye balm. This is helping to reverse all of that. Thanks, Indie! This is a holy grail product for me. Let's face it...no topical treatment can really get rid of smile lines and so forth once you get to a certain age. That's actually fine by me -- I like seeing my face as a map of where I've been. That being said, I like this balm a lot, as it really seems to condition and improve the skin around my eyes and seems very soothing to winter-angry skin. I'm curious to see how I'll feel about it come summer. I have hyper-sensitive eyes and this didn't burn or sting or anything. Other reviewers are right on the money concerning the amount needed: truly, I'm using this twice a day while it's cold and dry here, and I have barely made a dent in this product. Soothing, pleasant, feels good, doesn't irritate eyes -- what's not to love? For me, this is a go-to "calm-down" for stressed skin, and I'm very, very happy I gave it a try. The Eye Balm has a really strong smell. I place it as medicinal ointment with an olive oil type smell. Something I had to get used to. I haven't been using it long, but so far it seems to enhance my dark circle to a green tone (which goes away when I color correct.) It is too soon to say if it is making an improvement on my puffiness and circle, but I'll update when/if I see a difference. This balm is just ah-mazing...it looks as if it would be heavy or greasy but it sinks in to the delicate eye skin and leaves my peepers looking refreshed and the skin feeling nourished in the morning. I also use it on my lips and on any other dry patches (edges of nose after heavy tissue abuse)...and a little goes a loooong way so it's a great buy! Life saver for dry cracked heals and fingers. Before discovering The Balm, I had the driest, cracked heals. I tried every product I could and nothing worked. Now, with The Balm, my heals are as smooth as my 11 year olds. Every Winter my fingers and cuticles used to crack. They too are smooth now. I keep one Balm on my bed table for my heals and the other I keep in the car to put on my fingers before starting it. The Balm is The Bomb!!! !